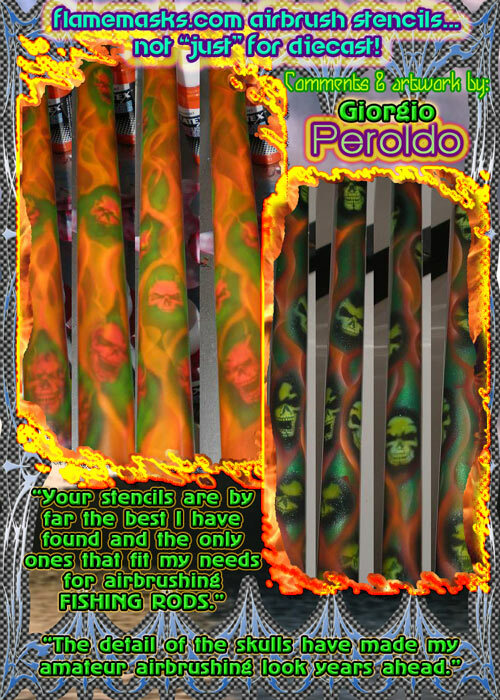 FlameMasks!, The Original :: Empowering YOUR creative Airbrush needs since 2001! 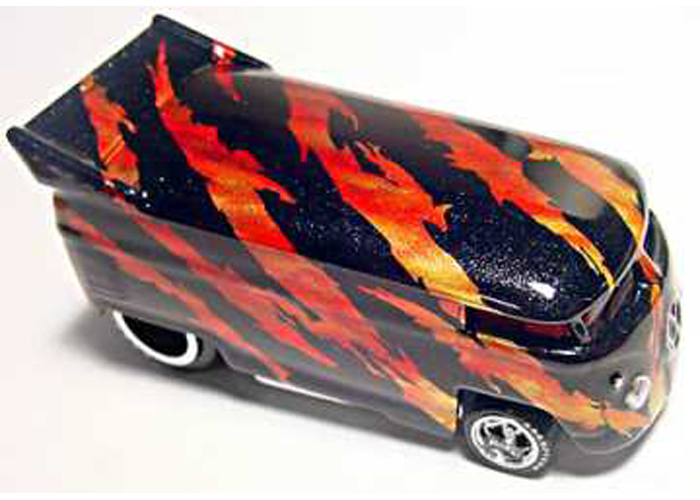 FlameMasks.com :: helping YOU create Award Winning Diecast Art since 2001 ! Welcome Guest! Please take a minute to log yourself in or Register. 5/12/11 - FlameMasks on Facebook! 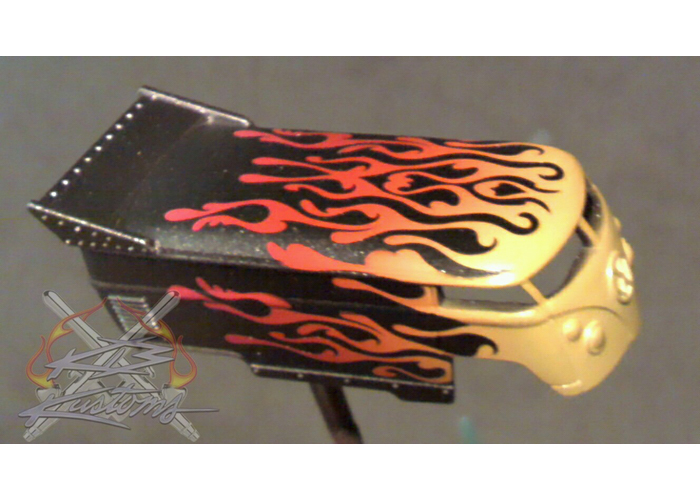 NOW YOU CAN AIRBRUSH KILLLLLER FLAMES ON YOUR KUSTOM CREATIONS!!! THATS RIGHT!!!!!!! 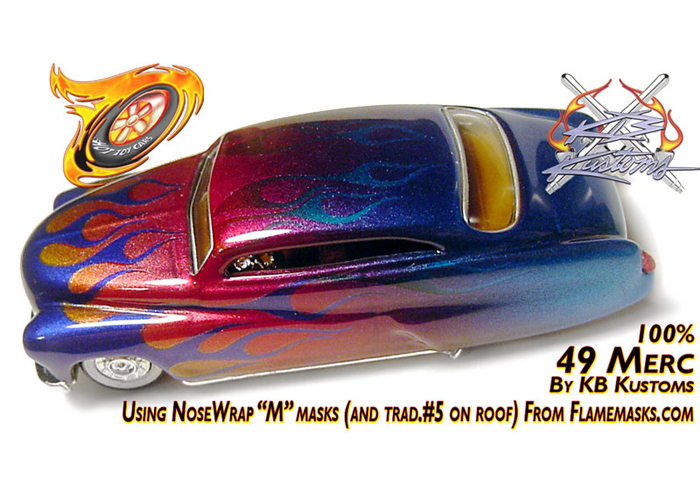 Even if you can't draw a straight line with a ruler, you can now have KILLER PAINTED Flames on your own kustoms with these high quality, reusable, self-adhering vinyl flame masks, you can choose your own colors and airbrush PAINT them on YOURSELF!! 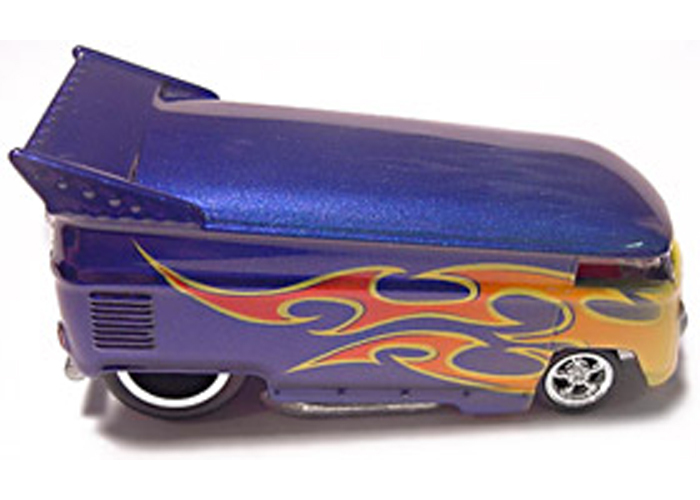 Airbrush will yield best results, but can also be used with Spray/Rattle can paints. Here are just a few examples!! Done by FirstStrike Customs using one of our most popular designs, Traditional #1 Coming soon in our Specialty Designs section..SplashFlames!! Tribal Blade Flames with pinstripe!! 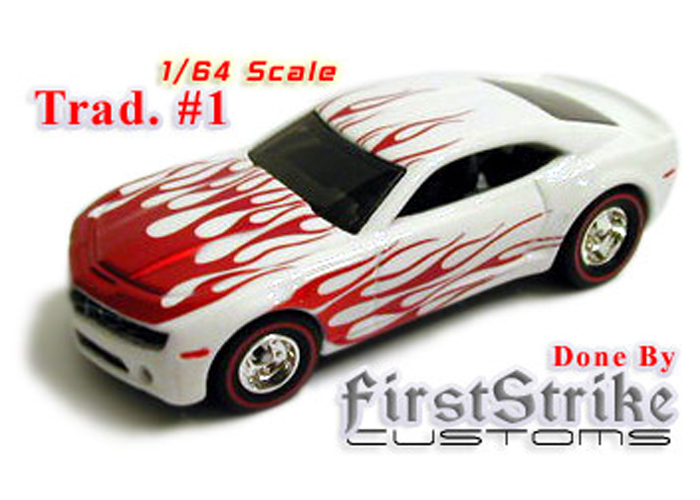 Coming soon for 1/64th scale. Multiple placement use of NoseWrap M masks and Trad.#5 on this killlller candified Merc by KB Kustoms. 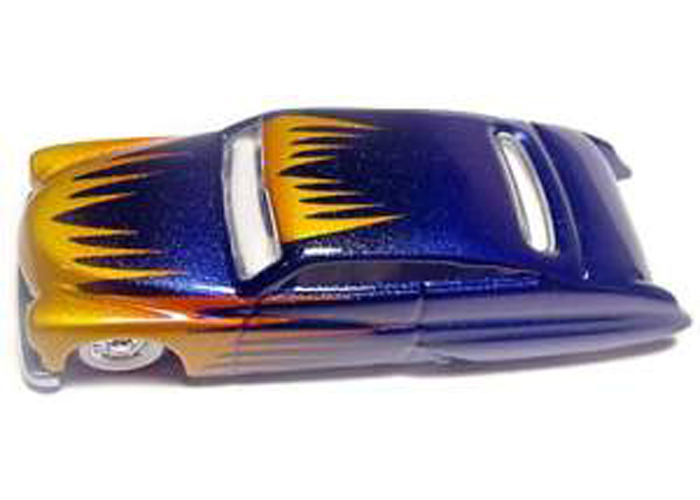 This killer Merc by KB Kustoms features candy faded scallops using Scallops #3-Cars. This bus design created by KB Kustoms using the VERY versatile Rip Masks! !